It seems a little trite to start my post with a usual question about how your weekend has been, and then to share all of the wonderful things I’ve done, given the hundreds of people affected by the tragic events in Paris- such a wonderful city- on Friday evening. My mind has continually wandered back to the people affected by terrorism in Paris and elsewhere around the world, and how they manage to cope, to return to a ‘normal’ life, if there even is such a thing. Godless people hate life and worship death.Love is not in their vocabulary .Darkness is their believe which they obey blindly. 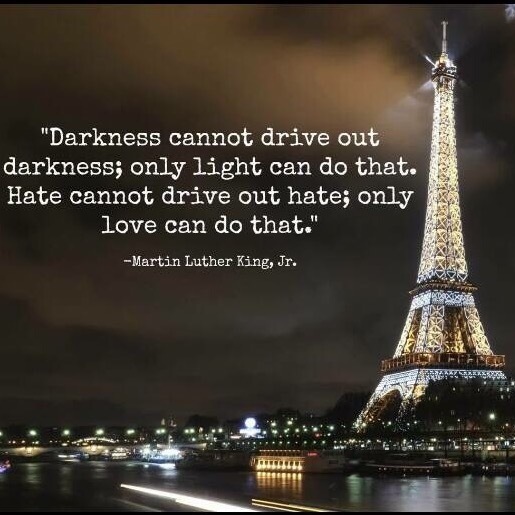 Light and love will always triumph over hate and darkness. These are powerful insights. It has been hard to continue business as usual knowing that others are being met with great suffering. 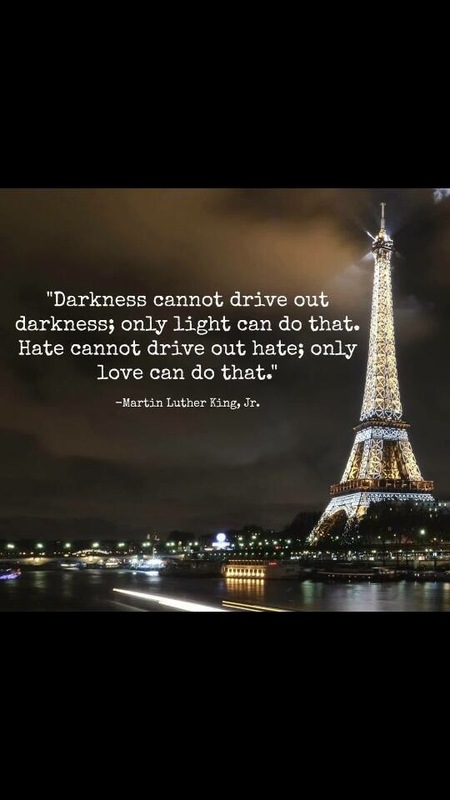 I’m feeling really sad about Paris. I mentioned to Warren on the weekend that Paris is the city of love. What happened isn’t what love is about. It also make me think of Allison and Steve who run the Paris marathon every year. I don’t understand why people need to hurt others.